Training Wheels: Quality...JFK Jr. is watching!! Since last Thursday the NY State developmental disability provider community has been reeling. 240 million dollars in spending cuts to the NY system will be exacted soon. The reason for these cuts? Well, frankly......I have my opinions and view points about why.... however, those opinions will remain with me and my friends. Direct Support Professionals will be impacted by these upcoming slashes. No doubt. I am worried. As provider agencies begin to do more with less and as "over-extension" begins to creep into the mouths of all levels of organizations doing the noble and challenging work of supporting people with disabilities, there will be an epiphany. I do believe that executives, clinicians, professional staff and policy makers will start to understand what John F Kennedy Jr. said almost 20 years ago. He said, "quality is defined at the point of interaction between a staff member and a person with a developmental disability." As a powerful advocate for direct support professionals, he was a founder of the NADSP (National Alliance for Direct Support Professionals). John also was a visionary. We are about to see where quality occurs in our system. Direct support professionals have been at the crossroads where quality and support meet for many years. I believe we will be compensated and evaluated by this definition as our system evolves. And why not? This fiscal crisis is about to put a spotlight on the importance of direct support. Quality is NOT determined by the landscaping of group home yards, new vehicles, large foundation board funds and nice high-tech training rooms. It is not defined by regulations. Those things are very nice and important but I think (my opinion) that we have placed too much emphasis on that stuff. Now, my friends, we are in a defining moment. Interaction between people with disabilities and competent and ethical staff is about to take the lead and spotlight as it should have years ago. We will see why and how a skilled workforce is so important over the next few months and years. I do have hope that as we shuffle through the upcoming months of uncertainty and fear that we never lose sight of what is important; that the 120,000 people in NY State who rely on staff members to provide quality supports keep getting just that.......daily high quality interactions and support. 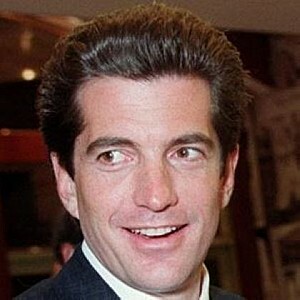 It is up to all of us to keep John F Kennedy Jr.'s definition alive and relevant in 2013 and beyond.